On October 18 – 20 the America Georgia Business Council hosted a Certified U.S. Trade Mission to Tbilisi, Georgia. 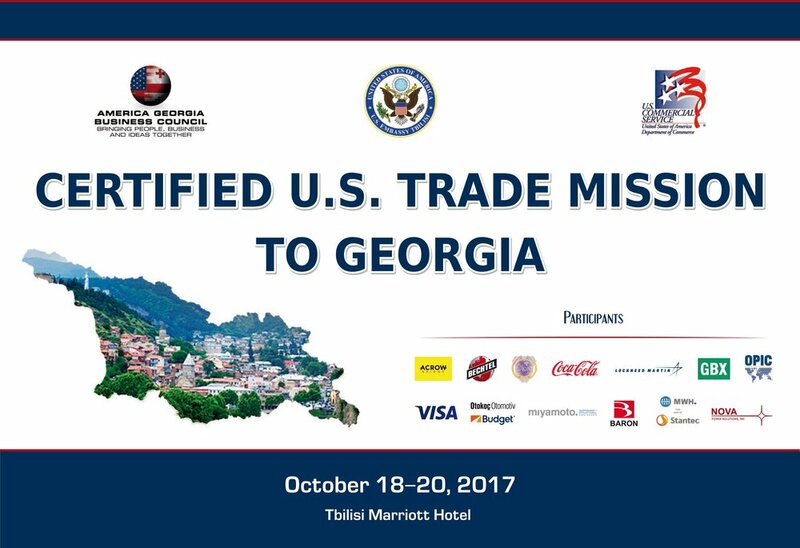 Certified by the U.S. Department of Commerce, the trade mission was co-organized with the U.S. Commercial Service in Istanbul, the U.S. Embassy in Georgia, and the Embassy of Georgia in the United States. Over 20 representatives from 12 large American companies—Acrow Bridge, Baron Weather, Bechtel, Budget, Coca-Cola, Lockheed Martin, Miyamoto International, MWH, Nova Power, Obie Technologies, Sikorsky, The Greenbrier, and VISA participated in the mission. Its objective was to identify market opportunities for those companies in Georgia, and, more generally, to strengthen bilateral trade and investment relations between Georgia and the United States. The trade mission began on October 18th with a welcoming reception hosted by the America – Georgia Business Council and the PACE Group. The official part of the mission began with a briefing by the U.S. Embassy in Tbilisi on the current political and business environment in Georgia, highlighting opportunities and challenges for U.S. companies in the country. The discussion was led by the U.S. Ambassador to Georgia, Ian Kelly. 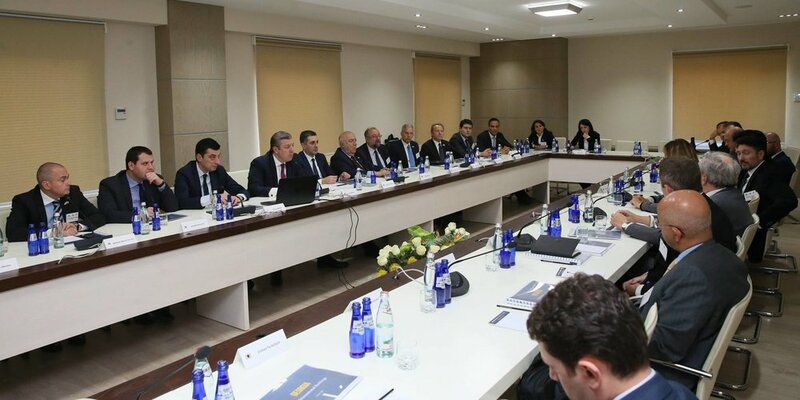 It was followed by s briefing from the president of the largest business association in Georgia, Mr. George Chirakadze; the managing director of the investment bank Galt & Taggart, Mr. Otar Sharikadze; and representative of Overseas Private Investment Corporation responsible for Georgia, Mr. Kenneth Angell. Discussion was moderated by Mamuka Tsereteli, president of the America – Georgia Business Council. Throughout the day, mission participants had the opportunity to gain the perspective of the Government of Georgia on business opportunities in different sectors of economic development. The Ministry of Economy and Sustainable Development of Georgia hosted a lunch for the trade mission participants at the Funicular Restaurant, where the Minister of Economy, Giorgi Gakharia, welcomed guests, and the Deputy Minister of Economy Nino Javakhadze presented the government’s strategy for economic and infrastructure development in the country. 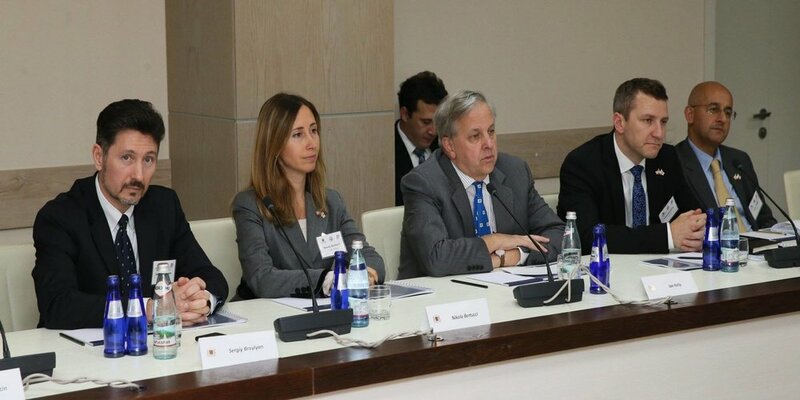 “As you well know, we have exceptional political relations with the USA, and it is the high time for arranging better economic ties, especially in terms of trade” – the Minister of Economy and Sustainable Development of Georgia, Giorgi Gakharia, stated to the media following the meeting with the representatives of the US Trade Mission. Later in the day, the Prime Minister of Georgia, Giorgi Kvirikashvili, welcomed the delegates and thanked them for an important visit to Georgia. The Head of the Government for members of the mission the main features of the country's development, its strategic projects, and Georgia's impressive standing in international ratings related to stimulating investment. 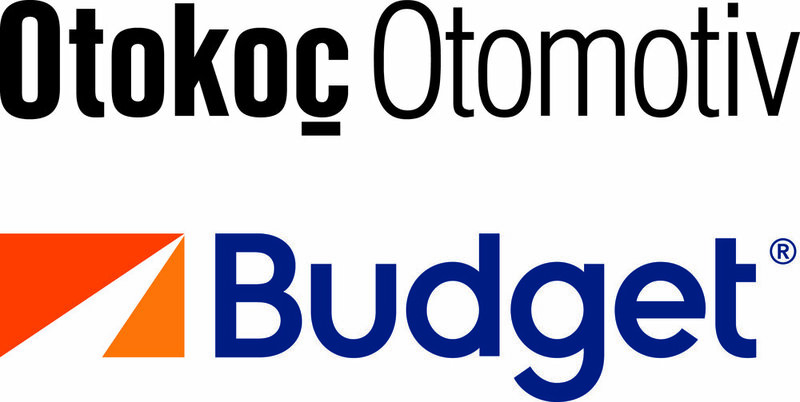 The companies presented their company profiles to the Prime Minister and highlighted their interests in Georgia. The Prime Minister ensured companies of his and government's full support for any new trade and investment projects resulting from the trade mission. 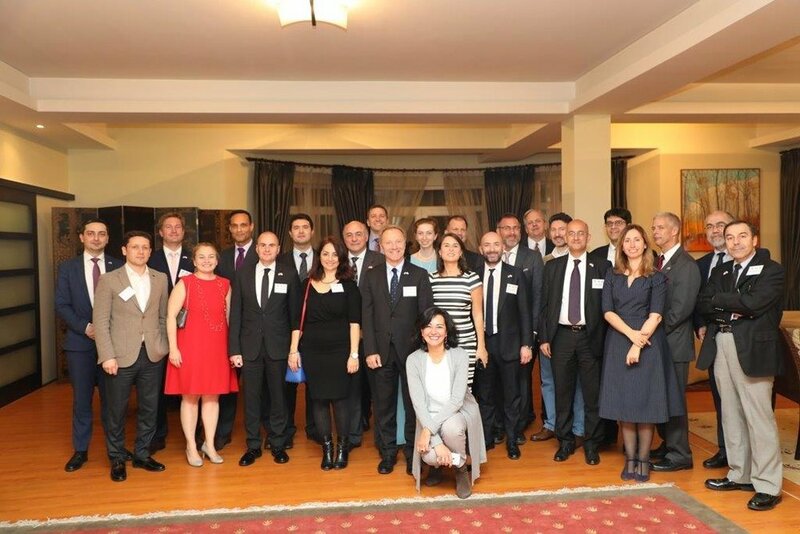 An eventful day ended with wine tasting and dinner at Chateau Mukhrani hosted by the largest financial institution in Georgia, TBC Bank, and the Anaklia Consortium, which is engaged in the development of the largest deep sea port on the Black Sea. On the second day of the mission, the companies held over 150 B2B and B2G meetings with representatives of the private and public sectors. Each company enjoyed a schedule tailored specifically for it based on their interest in the country. The American Chamber of Commerce in Georgia hosted a lunch for the mission participants at the Marriott Tbilisi Hotel. Participants met representatives of other American companies with established presence and successful operations in Georgia. The closing reception at Ambassador Kelly’s residence highlighted the success of the trade mission. WHO CAN BENEFIT FROM JOINING?